Professor Shurygin is an Honorary Worker of Science in Russia, winner of the Russian Government Award in Education, a leading Russian expert in power electronics and AC variable speed drive technology. Professor Shurygin is the President of the Siberian Branch of the International Academy of the Higher School Sciences, Vice President of the Siberian Branch of the Russian Engineering Academy, member of the Expert Council of the Government of the Russian Federation, Advisory Council for Social and Economic Development of the Siberian Federal District. Professor Shurygin holds 11 awards and medals from a number of academies and scientific associations: Science and Education Award of Tomsk Region; Innovation Contribution Award of Tomsk region; the State Medal of Honor; Order of Merit to the Fatherland; a number of industrial awards. Professor Shurygin graduated from the Faculty of Automatics and Electromechanics of Tomsk Polytechnic University in 1971, majoring in aircraft electrical equipment, and was assigned to the TUSUR Research Institute of Automatics and Electromechanics, where his career progressed from senior engineer to Deputy Director (till 1981) and Director (in 2000), a position he currently holds. In 1999–2009 Professor Shurygin was the First Vice-Rector of TUSUR University, and since 1993 he has been the Head of the Department of Computer Control and Design Systems. In 2009–2014 he was the Rector of TUSUR University. 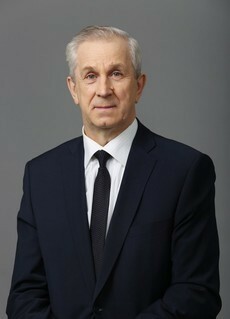 In 2015 Professor Shurygin accepted the post of the Director of the Directorate for Administration and Strategic Development (First Vice-Rector). Professor Shurygin pursues theoretical and practical research in engineering automation of industrial processes and complex equipment using power electronics and AC variable speed drives. He is the head of University research in software-hardware automation of industrial processes. Professor Shurygin made a substantial contribution to development of the theory of electromagnetic processes in semiconductor converter-based electromechanical systems. He supervised the commercialization of over one hundred engineering systems for aerospace, heat and power, petroleum, petrochemical, metals, defense, and healthcare sectors. The research of Professor Shurygin is published in over 240 papers, including 10 monographs, 34 patents and inventor’s certificates. Professor Shurygin has provided research guidance to 15 candidates of science and 3 doctors of science.